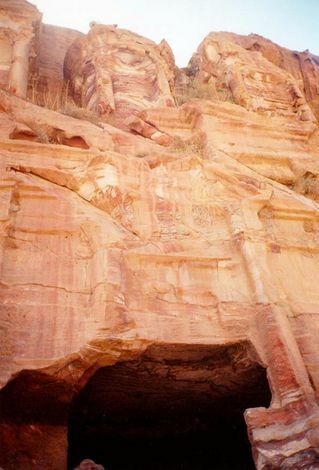 Jordan's premier tourist attraction remains extraordinary despite lots of tourists and film crews. 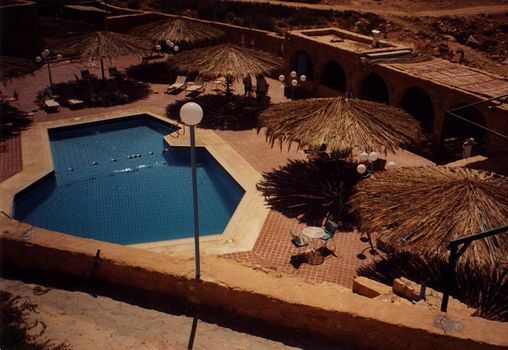 A few miles away, a village has been made into a hotel. 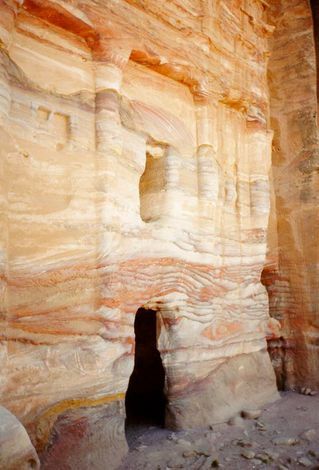 South of Amman, Petra is a Nabataean city built in reverse, with buildings carved from sandstone cliffs near the modern town of Wadi Musa. 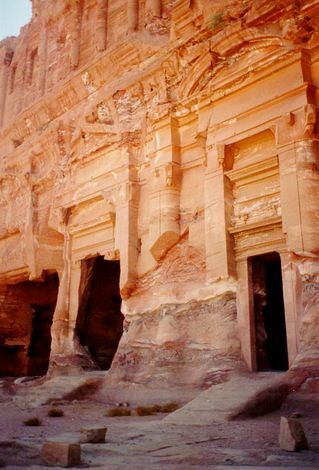 Here: a typical sequence of such buildings, which combine classical detailing with severe deterioration, especially at lower levels. Many of the architectural details are on the way to obliteration. Approaching through a spectacularly narrow defile, the city appears suddenly as the defile widens to reveal both sides of the cleft cut top to bottom by carvers. 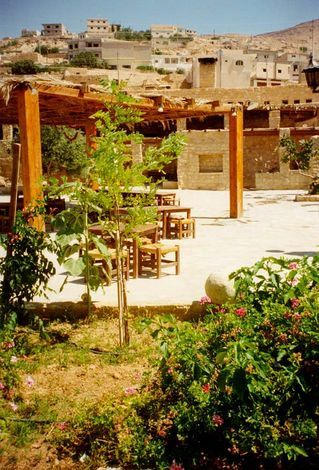 A few miles south of Wadi Musa, there is a village called At Tayyiban. 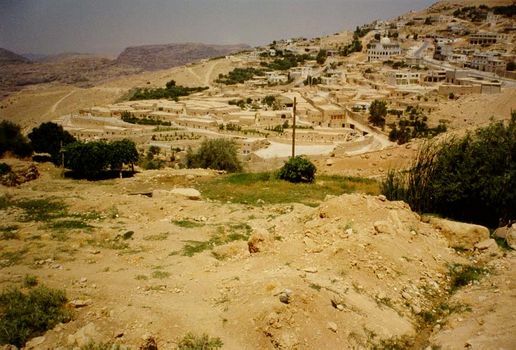 Actually there are two villages, the older one, camouflaged in desert tones, and the new one, on the hill to the right. 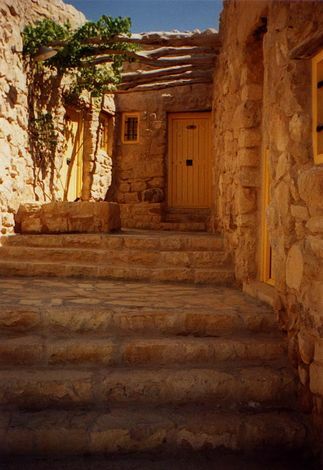 The old village has now been converted to an upscale hotel, at what social cost a casual observer can't say. 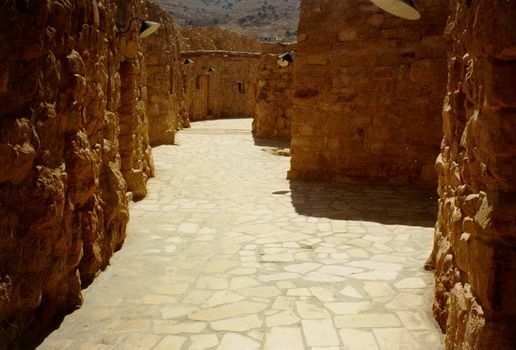 Viewed strictly as a design challenge, the modernization of a traditional village into the hotel Taybet Zaman, owned by Jordan Tourism Investments, has been successful. 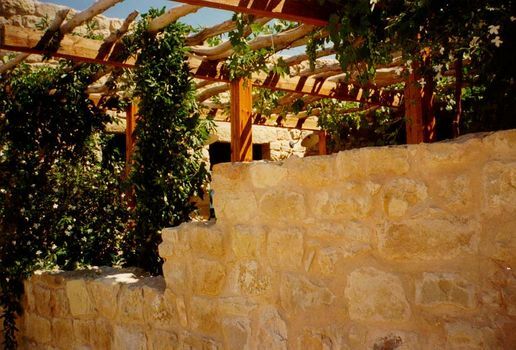 A pergola over a room's courtyard. Approach to a guest room. The obligatory pool, remarkable in its wider setting.